Our private 28-acre Windells campus is located at the base of Mt. Hood off HWY 26 (in beautiful Welches, OR), just a short trip from the best skate parks in the Northwest. Our private campus is tucked away from traffic, the city, and distractions of being in town. And better yet, the entire campus is 100% skate-able. Our Concrete Jungle skateboard park is over 50,000 square feet of skate friendly terrain. Our campers are able to skateboard throughout our entire campus, which features a mini ramp section, a concrete bowl, quarter pipes, spines, banks, hips, a vert wall complete with pool coping, rollers, ledges, rails, steps, manual pads, and so much more for you to navigate the endless line. The Concrete Jungle has often been referred to as, “the most unique skate park in the Northwest,” and can be seen featured in major skate publications and media outlets. We are the home to the biggest indoor skate park in the Northwest, 12,500 ft of creative space for skateboarding in any weather. 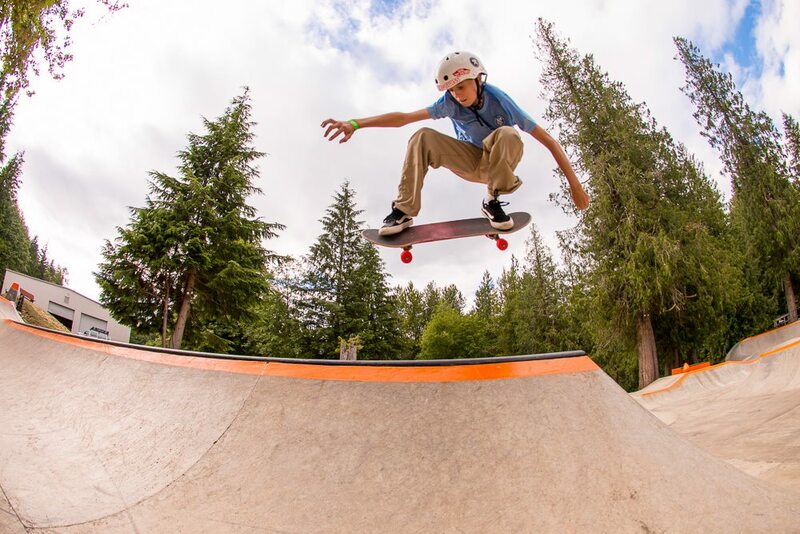 To register for a Windells Skateboard Camp Session, click here or reach out to us directly in Oregon at (503) 622-3736!